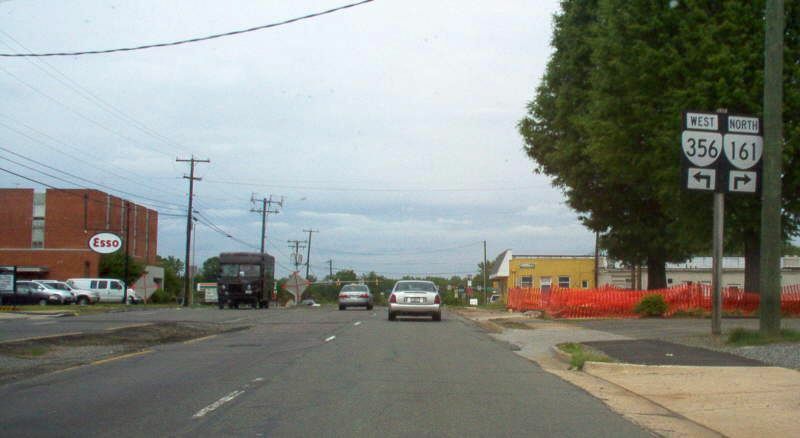 Westbound on VA 356, ending at US 33. 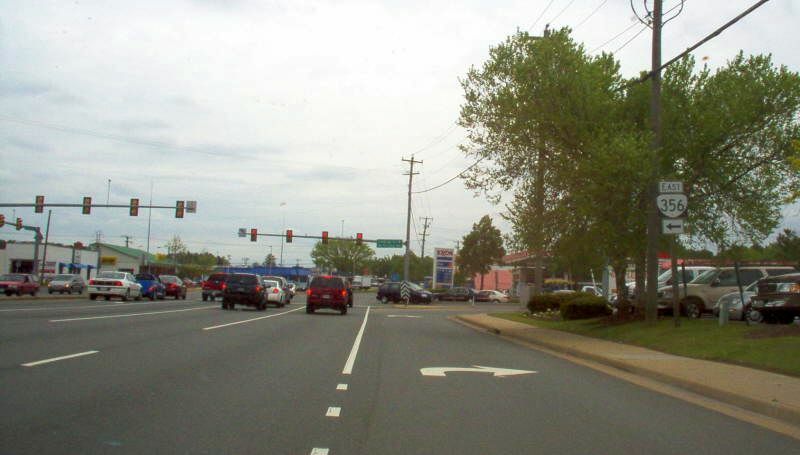 This was where VA 161 used to end 1933-44. Photo by Mapmikey, taken April 26, 2006. From US 33 eastbound. Photo by Mapmikey, taken April 26, 2006. 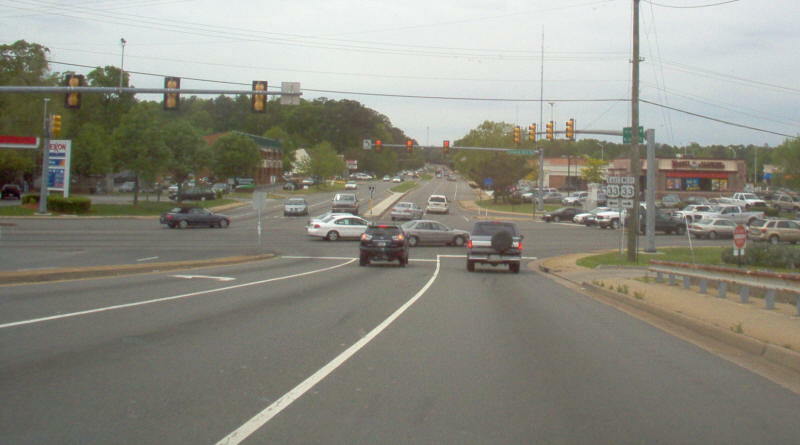 From VA 161 southbound, which turns left here while VA 356 gets going. There are no 161 or 356 signs from this direction. Gotcha! Photo by Mapmikey, taken April 26, 2006. 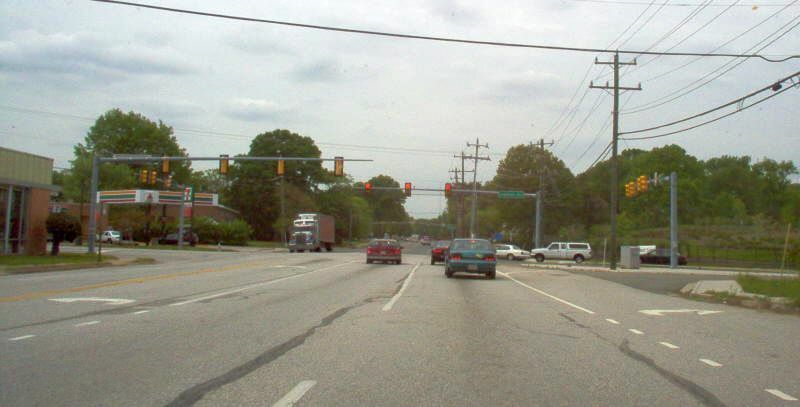 From VA 161 northbound, with both routes posted this time. The Esso sign to the left is a nice touch. I think it is an antique place of some sort. Photo by Mapmikey, taken April 26, 2006.